It's finally here. The day John Tavares returns to the Coliseum, this time with the Toronto Maple Leafs. It wouldn't be "It Happened" without looking back at JT's most famous goal at the Coliseum - one that make Tyler Kennedy jump for joy. Today's edition of It Happened featured a game that Happened four months before Tavares was drafted, on this day in 2009. The win raised the Isles’ home record to NHL-.500 (13-13-5). All-time, the Isles have played ten February 28th games at the Coliseum and have compiled a 4-4-2 record on this date at 1255 Hempstead Turnpike in Uniondale. The 11th and final February 28th home game is today at 5:00, as the Isles host Carolina. Make sure you’re there, because after tonight, there are only nine regular season games remaining. Mikael Backlund and Rasmus Andersson scored 1:57 apart in the third period to break a 1-1 tie as the Western Conference leaders, the Calgary Flames, handed the Isles a 3-1 defeat before a crowd of 13,097 at the Nassau Coliseum. The Isles fall to 1-2-1 in the last four games as they have been caught above the top of the Metro Division at 79 points by Washington; the Isles are 12-3-4 in their last 19 games and still hold two games in hand on the Stanley Cup Champs. The Isles are 19-6-3 since Devon Toews joined the lineup and are 22-7-3 in their last 32 games; Toews saw his assist streak stopped at five games…The Isles have surpassed last season's win total (36); including shootout winners they have scored 27 fewer goals and allowed 74 fewer goals than last year's first 62 games… The Isles have 40 points at home and 39 points on the road … For the 28th straight game, the Isles did not allow three goals in any period. That extends the club record; the previous mark (26) was set in February-March 1976…The Isles are 6-3-1 in their last ten games (6-1-1 against everyone but Calgary)…The Isles are 7-4-2 in February as they have clinched a winning record for the 5th straight month… Casey Cizikas was +1; he dropped to +23 on the season, a mark no Islander forward (Marty McInnis +31 in 1993-94) has exceeded in the last 25 years…Andrew Ladd recorded an assist in his first game since November 13th (he also had an assist in that game)… Johnny Gaudreau was originally credited with his 50th assist on the Tkachuk goal; it was taken away and then he earned the 50th on Mikael Backlund's winning goal. It's the second time in his career he has reached 50 assists; he is the youngest Flame since Theo Fleury to do so…The Flames have outscored their opposition 93-49 in the 3rd period. Through 62 games, the Isles have allowed 149 goals (including shootouts). That is 74 goals fewer than they allowed through 62 games last season, meaning they have allowed nearly 1/3rd fewer goals this season than last season. Robin Lehner is 15-4-2 (1.75, .941) in his last 21 decisions. His NHL-leading GAA is 2.10 and his save percentage is .930(.9296), which is just a fraction off the NHL lead (Vasilevskiy .9300). Thomas Greiss is 5-1-1 in the last seven games, allowing a total of seven goals on 220 shots (5-1-1, 0.98 GAA, .968 save percentage). On the season, his GAA is 2.26 and his save percentage is .928 (.9277). Lehner has won 19 games and Greiss 17. It's only the 2nd time in the last 15 seasons that the Isles have gotten at least 17 wins from two different goalies. Greiss won 23 games and Jaroslav Halak 18 in 2015-16. Casey Cizikas was -1 tonight and is now +23 on the season. In the last 30 seasons, only five Islander forwards have finished +23 or higher. The Isles are 6-2-2 on Coliseum ice; they are averaging 97.7% of capacity on Long Island (including six sellouts). The Isles are 9-3-2 in their last 14 road games and 12-4-2 in their last 18 road games. Among active coaches, Barry Trotz has coached the most games and is 2nd to Ken Hitchcock in wins. Trotz' NHL record is 798-587-60-141 in 1,586 games. The Isles have allowed 74 fewer goals, a decrease of 33.2% as compared to last season. The Isles are 22-7-5 when scoring first and are 14-12-2 when allowing the opening goal (which includes a 1-0 shootout loss). The Islanders are 36-19-7 overall; 18-8-4 at home (6-2-2 on Long Island and 12-6-2 in Brooklyn) and 18-11-3 on the road. All their remaining regular season home games are at the Nassau Coliseum. Calgary is 40-16-7 overall; 20-5-5 at home and 20-11-2 on the road. The Isles are 15-5-1 in Division games and 21-15-5 in games versus other divisions. The Isles are 21-9-5 against the East and 15-11-1 against the West. Robin Lehner made 24 saves but falls to 19-10-5 on the season and 3-2-1 in his career against Calgary. Mike Smith made 26 saves and improves to 19-11-2 on the season and 7-4-0 against the Islanders. The Isles were 0-4 on the power play in 8:00 of PP time; Calgary was 1-5 on the power play in 6:37 of PP time (including a 90 second 5-on-3). The Isles are 22-2-2 when they score at least one power play goal and 14-17-5 when they do not. The Isles are 13-12-5 when they allow at least one power play goal and 23-7-2 when they do not. The Isles are 30-2-2 when they score at least three goals (including shootout winners) and are 6-17-5 when they do not. The Isles are 14-4-7 in games decided by a single goal including 6-4 in regulation. They are 5-2 in games decided in overtime and are 3-5 in shootouts. The Isles are 4-5 in games in which an empty-net goal turns a 1-goal game into a 2-goal game. •	The Isles are 4-0-0 when both teams played the night before. •	The Isles are 5-0-1 when their opponents are rested, and the Isles are not. •	The Isles are 21-19-5 when both teams are rested. Mathew Barzal led Isles forwards with 20:31 of ice-time. Isles record by ice-time leader: Ryan Pulock (18-8-5), Nick Leddy (13-9-2), Scott Mayfield (5-1-0), Johnny Boychuk (0-1-0). Isles 19, Calgary 31 (38%). Josh Bailey won all 4 of his draws for the Isles; Derek Ryan won 9 of 11 for Calgary. Face-offs by period: 1st period 5/14; 2nd period 6/19; 3rd period 8/17. Face-offs by strength: Even strength: 13/34, Power play 4/8, Penalty kill 2/8. There were no fights. 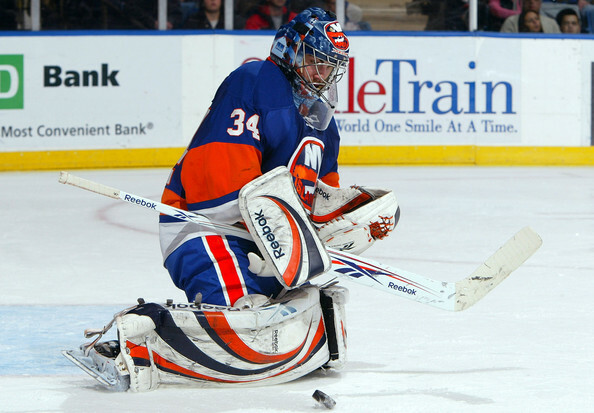 Season total –13 (Scott Mayfield -4, Ross Johnston-3, Matt Martin -2, Anders Lee- 2, Josh Bailey, Johnny Boychuk). The Isles are 6-3-1 in the front half and 9-0-1 in the back half. The next back-to-back is February 28-March 1 vs. Toronto and Washington. The Isles are 30-17-7 in night games and 6-2-0 in matinees. The next matinee is on March 3rd vs. Philadelphia (at the Coliseum). Anders Lee 180, Brock Nelson 157, Mathew Barzal 144. Four other Isles: Nick Leddy, Ryan Pulock, Josh Bailey and Leo Komarov have appeared in every game this season. The Isles are 6-4-1 when trailing in a game by a 2-0 score, defeating NYR (11/15), CBJ (12/1), DET (12/8), OTT (12/28), STL (1/5) and COL (2/9 - OT), while earning a point vs. EDM (2/21 – OTL). The Isles are 14-1-1 when scoring the game's first two goals. Calgary sweeps the season series two games to none (and 4 points to 0). The Isles are 1-4-0 in their last five games against the Flames and have lost consecutive home games to Calgary won the first time since they lost six straight between 1997 and 2004. The Sound Tigers defeated Hershey 5-1 on Sunday; Christopher Gibson made 25 saves and Steve Bernier had a goal and two assists as Bridgeport completed a sweep of their three game weekend series and recorded their fifth straight win. The Sound Tigers are 9-1-1-0 in their last 11 games (including three OT wins and two shootout wins) and have improved to 33-18-5-2 on the season. Bridgeport begins a 5-game road trip in Hershey on Friday. The five-game homestand continues as the Isles welcome John Tavares and the Maple Leafs to the Coliseum. It's the second meeting of the season between the squads; Robin Lehner made 36 saves and Calder-winner Mathew Barzal had a natural hat trick as the Isles defeated Toronto 4-0 at Scotiabank Center on December 29th. The Isles are 5-3-0 in their last eight home games against the Leafs; their win in Toronto snapped a four-game losing streak to the Leafs. The Isles will close out the home portion of the regular season when the Leafs return on April 1st. The Isles begin a five-game homestand tonight and they look to do something they haven't done in 32 years...win on February 26th. In Isles history they have won only twice on this date, going 2-7-5 at the Coliseum and 0-4-0 on the road. 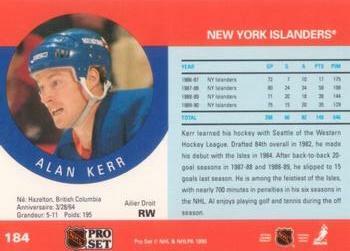 28 years ago tonight (1987) - In a game that featured four unassisted goals, including three by the Islanders, Alan Kerr scored the winning goal with 12:26 to play as the Isles beat Pittsburgh 5-4. Dale Henry, Pat LaFontaine, Mike Bossy and Neal Coulter had the other goals for the Isles, who led 1-0, 3-1, 4-2 and 5-3 before hanging on for the victory. Mario Lemieux, who was on his way to his first 50 goal campaign, recorded his 40th goal of the season for Pittsburgh. It was Kerr’s first goal in 19 games and he had a chance later in the period to score his second when he was awarded a penalty shot after Pittsburgh’s Randy Hillier dislodged the net moments before Kerr shot a puck into it. Kerr told Newsday’s Jim Smith: I'd never taken a penalty shot - ever, from minor hockey on up . . . I was a little nervous." The win pushed the Isles back into second place in the Patrick Division, two points ahead of the Rangers and extended the Isles unbeaten streak over Pittsburgh to 13 games (12-0-1). The Isles played nine February 26th home games after this one, and didn’t win any of them (0-6-3). Also on this date: (1977) – Clark Gillies and Lorne Henning each scored twice and added an assist as the Isles pounded Atlanta 8-2. The Isles scored three goals in a 45 second span of the second period, establishing a club record (since broken). All-time, the Isles have played fourteen February 26th games at the Coliseum and finish with a 2-7-5 record on this date at 1255 Hempstead Turnpike in Uniondale. Robin Lehner made 36 saves for his fourth career shutout and 11 different Islanders figured in the scoring as the Isles completed a sweep of the season series with the Canucks, defeating Vancouver 4-0 before a crowd of 18,871 at Rogers Arena. Lehner's shutout is the eighth for the Islanders this season; it's the first time in club history that two goalies have recorded four shutouts in the same season. The Isles have recorded five shutouts in their last 15 games; it's the first time the Isles have ever had five shutouts in a 15-game span within a single season. The Isles finish the Western Canada swing 1-1-1 and improve to 12-3-3 in their last 18 games as their lead in the Metro increases to four points over Washington (who lost to Buffalo 5-2). Casey Cizikas now has five of the last 18 Isles goals; it's the first time in his professional career he has scored 17 goals in a season [16 between Bridgeport and the Isles in 2012-13]… The Isles are 19-5-3 since Devon Toews joined the lineup and are 22-6-3 in their last 31 games; Toews now has an assist in five straight games…The Isles have surpassed last season's win total (36); including shootout winners they have scored 29 fewer goals and allowed 73 fewer goals than last year's first 61 games… The Isles have 40 points at home and 39 points on the road … For the 27th straight game, the Isles did not allow three goals in any period. That establishes a new club record, breaking the previous mark (26), which was set in February-March 1976…The Isles are 6-2-1 in their last nine games…The Isles are 7-3-2 in February as they have clinched a winning record for the 5th straight month… Casey Cizikas was +2; he improves to +24 on the season, a mark no Islander forward (Marty McInnis +31 in 1993-94) has reached in the last 25 years… Anthony Beauvillier scored for the first time in six games and went a season-high +3…The Isles were outshot 109-65 on the road trip…Ryan Pulock, who scored on a delayed penalty, is 4-7-11 in his last 11 games. The Isles are 22-6-3 since December 15; only Tampa Bay (22-4-3) has as many wins and points in that span. With the point, the Isles regain 5th place overall with 79 points, one point ahead of Toronto and Winnipeg. The Isles are one point behind San Jose and two points behind Boston. Through 61 games, the Isles have allowed 146 goals (including shootouts). That is 73 goals fewer than they allowed through 61 games last season, meaning they have allowed 1/3rd fewer goals this season than last season. Robin Lehner is 15-3-2 (1.68, .943) in his last 20 decisions. He lowered his NHL-leading GAA is 2.07 and his save percentage is .931 (.9307), which is also now the best in the NHL (Vasilevskiy .9305). Casey Cizikas was +2 tonight and is now +24 on the season. In the last 30 seasons, only five Islander forwards have finished +23 or higher. Among active coaches, Barry Trotz has coached the most games and is 2nd to Ken Hitchcock in wins. Trotz' NHL record is 798-586-60-141 in 1,585 games. The Isles have allowed 73 fewer goals, a decrease of 33.3% as compared to last season. The Isles are 227-5 when scoring first and are 14-11-2 when allowing the opening goal (which includes a 1-0 shootout loss). The Islanders are 36-18-7 overall; 18-7-4 at home (6-1-2 on Long Island and 12-6-2 in Brooklyn) and 18-11-3 on the road. All their remaining regular season home games are at the Nassau Coliseum. Vancouver is 26-28-8 overall; 13-12-4 at home and 13-16-4 on the road. The Isles are 15-5-1 in Division games and 21-14-5 in games versus other divisions. The Isles are 21-9-5 against the East and 15-10-1 against the West. Robin Lehner made 36 saves and improves to 19-9-5 on the season and 2-2-0 in his career against Vancouver. Jacob Markstrom made 19 saves but falls to 22-18-7 on the season and 2-5-0 against the Islanders. The Isles were 0-1 on the power play in 2:00 of PP time; Vancouver was 0-4 on the power play in 7:36 of PP time. The Isles are 22-2-2 when they score at least one power play goal and 14-16-5 when they do not. The Isles are 13-11-5 when they allow at least one power play goal and 23-7-2 when they do not. The Isles are 30-2-2 when they score at least three goals (including shootout winners) and are 6-16-5 when they do not. • The Isles are 5-0-1 when their opponents are rested, and the Isles are not. • The Isles are 21-18-5 when both teams are rested. Brock Nelson led Isles forwards with 19:25 of ice-time. Isles record by ice-time leader: Ryan Pulock (18-8-5), Nick Leddy (13-9-2), Scott Mayfield (5-1-0). Isles 21, Vancouver 25 (46%). Brock Nelson won 8 of 12 for the Isles; Bo Horvat won 12 of 21 for Vancouver. Face-offs by period: 1st period 10/18; 2nd period 4/12; 3rd period 7/16. Face-offs by strength: Even strength: 18/40, Power play 1/1, Penalty kill 2/5. The Isles are 30-16-7 in night games and 6-2-0 in matinees. The next matinee is on March 3rd vs. Philadelphia (at the Coliseum). Anders Lee 179, Brock Nelson 156, Mathew Barzal 143. Four other Isles: Nick Leddy, Ryan Pulock, Josh Bailey and Leo Komarov have appeared in every game this season. The Isles sweep the season series two games to none (and 4 points to 0). The Isles have won six of the last seven games between the teams and have swept the season series for the second time in three seasons. The Isles are 5-2-1 in their last seven games in Vancouver. As it has almost all month, the Sound Tigers went beyond 60 minutes and won on both Friday and Saturday. Friday in Providence, the Sound Tigers prevailed 5-4 in OT, Josh Ho-Sang had three assists and Michael Dal Colle had two. Both players assisted on Mitch Vande Sompel's OT winner. Bridgeport let a 3-1 lead get away, but Dal Colle scored the only goal in the shootout for a 4-3 win over Springfield on Saturday. The Sound Tigers are 8-1-1-0 in their last ten games (including three OT wins and two shootout wins) and have improved to 32-18-5-2 on the season. Bridgeport hosts Hershey on Sunday before setting out on a 5-game road trip. The Isles return home to begin a five-game homestand on Tuesday against the Western Conference-leading Calgary Flames. The Flames broke a 2-2 tie early in the third with two quick goals to give them a 4-2 win over the Isles on Wednesday. The Isles have won six of the last nine games between the teams but will need a home-ice win on Tuesday to earn a split with the Flames for the third straight season. On home-ice, the Isles are 6-2-0 against the Flames in their last eight meetings. This will be the Flames' first game on Long Island in four years, less one day. Cal Clutterbuck had the winning tally in a 2-1 win for the Isles on February 27, 2015. Connor McDavid scored the winning goal 1:22 into overtime as the Edmonton Oilers rallied from a 3-2 deficit and defeated the Isles 4-3 before a crowd of 18,347 at Rogers Place. The Isles had rallied from an early 2-0 deficit and held a 3-2 lead into the final three minutes before Oscar Klefbom tied the game. The Isles fall to 11-3-3 in their last 17 games as their lead in the Metro falls to two points over Washington (who beat Toronto 3-2). Robin Lehner allowed four goals for the first time since he allowed five at Madison Square Garden on November 21… The Isles are 18-5-3 since Devon Toews joined the lineup and are 21-6-3 in their last 30 games…Anders Lee scored for the third straight game… The Isles scored two power play goals in 28 seconds late in the first period; Brock Nelson matched last season's total with his 19th goal while Cal Clutterbuck scored his 3rd power play goal of the season…The Isles have matched last season's win total (35); including shootout winners they have scored 26 fewer goals and allowed 68 fewer goals than last year's first 60 games… The Isles have 40 points at home and 37 points on the road … For the 26th straight game, the Isles did not allow three goals in any period. That matches the longest streak of its kind, which was set in February-March 1976…The Isles are 5-2-1 in their last eight games…The Isles are 6-3-2 in February; they have had a winning record every month this season… Captain Anders Lee scored his team-leading 21st goal; it's the second time this season he has scored in three consecutive games (4 games 11/28-12/6) …. Casey Cizikas was "even"; he remains +22 on the season, a mark only one Islander forward (Ryan Strome +23 in 2014-15) has reached in the last 15 years…The Isles scored twice on the power play for the first time since January 10th…The Isles did not have a shot on goal in the second period until the 11:49 mark…The Isles went 2-2 on the power play for the first time since November 5, 2017 vs. Colorado…Sam Gagner scored his first goal since returning to the Oilers; it was his 102nd career goal for Edmonton. Nick Leddy left the game after an Illegal Check by Connor McDavid. Leddy returned in the second period. The Isles scored two power play goals in the first period for the first time since March 29, 2015 vs Detroit (Kyle Okposo, Brock Nelson). It's the first time since January 8, 2011 in Colorado (Jeremy Colliton, Blake Comeau) that they have scored two in a road first period. The two goals were scored 28 seconds apart; it's the fastest two power play goals for the Isles since March 10, 2014, when Ryan Strome and Calvin deHaan scored 22 seconds apart as part of the Isles' 7-goal third period. It's also the fastest two power play goals scored by the Isles in the first period since Derek King (7:34), Ziggy Palffy (7:58) and Bryan Berard (8:21) all scored in a 47-second span. Anders Lee tied Mariusz Czerkawski with his 145th Islander goal (tied-16th); Brock Nelson tied Mark Parrish, Steve Thomas and Matt Moulson with his 118th Islander goal (tied-24th). The Isles are 21-5-3 in their last 29 games; only Tampa Bay (22-4-3) has more wins in that span. With the point, the Isles move into 5th in the NHL with 77 points, one point ahead of Toronto and Winnipeg. The Isles erased a 2-0 deficit for the eighth time this season, and for the seventh time they earned at least one point by doing so. On the season, the Isles are 6-4-1 when trailing in a game by a 2-0 score, defeating NYR (11/15), CBJ (12/1), DET (12/8), OTT (12/28), STL (1/5) and COL (2/9 - OT), while earning a point vs. EDM (2/21 – OTL). The Isles are 13-1-1 when scoring the game's first two goals. Robin Lehner is 14-3-2 (1.77, .940) in his last 19 decisions. On the season, his NHL-leading GAA is 2.14 and his save percentage is .928 (.9280). Lehner has won 18 games and Greiss 17. It's only the 2nd time in the last 15 seasons that the Isles have gotten at least 17 wins from two different goalies. Greiss won 23 games and Jaroslav Halak 18 in 2015-16. The Isles are 8-3-2 in their last 13 road games and 11-4-2 in their last 17 road games. Among active coaches, Barry Trotz has coached the most games and is 2nd to Ken Hitchcock in wins. Trotz' NHL record is 797-586-60-141 in 1,584 games. The Isles have allowed 68 fewer goals, a decrease of 31.8% as compared to last season. The Isles are 21-7-5 when scoring first and are 14-11-2 when allowing the opening goal (which includes a 1-0 shootout loss). The Isles won 12 games all last season (12-27-5) when allowing the opening goal. The Islanders are 35-18-7 overall; 18-7-4 at home (6-1-2 on Long Island and 12-6-2 in Brooklyn) and 17-11-3 on the road. All their remaining regular season home games are at the Nassau Coliseum. Edmonton is 25-29-6 overall; 13-15-2 at home and 12-14-4 on the road. The Isles are 15-5-1 in Division games and 20-14-5 in games versus other divisions. The Isles are 21-9-5 against the East and 14-10-1 against the West. Robin Lehner made 37 saves; he is 18-9-5 on the season and 5-1-2 in his career against Edmonton. Mikko Koskinen made 20 saves and improves to 15-14-3 on the season and 1-1-0 against the Islanders. The Isles were 2-2 on the power play in 2:11 of PP time; Edmonton was 1-4 on the power play in 6:26 of PP time. The Isles are 22-2-2 when they score at least one power play goal and 13-16-5 when they do not. The Isles are 13-11-5 when they allow at least one power play goal and 22-7-2 when they do not. The Isles are 29-2-2 when they score at least three goals (including shootout winners) and are 6-16-5 when they do not. •	The Isles are 20-18-5 when both teams are rested. Brock Nelson led Isles forwards with 17:26 of ice-time. Isles record by ice-time leader: Ryan Pulock (17-8-5), Nick Leddy (13-9-2), Scott Mayfield (5-1-0). Isles 20, Edmonton 34 (37%). Josh Bailey won 5 of 10 for the Isles; Connor McDavid won 10 of 13 for Edmonton. Face-offs by period: 1st period 10/28; 2nd period 4/10; 3rd period 5/15; overtime 1/1. Face-offs by strength: Even strength: 17/45, Power play 2/5, Penalty kill 1/4. Including tonight, the Isles are 6-3-1 in the front half and 9-0-1 in the back half. The next back-to-back is February 28-March 1 vs. Toronto and Washington. The Isles are 29-16-7 in night games and 6-2-0 in matinees. The next matinee is on March 3rd vs. Philadelphia (at the Coliseum). Anders Lee 178, Brock Nelson 155, Mathew Barzal 142. Four other Isles: Nick Leddy, Ryan Pulock, Josh Bailey and Leo Komarov have appeared in every game this season. The teams split the season series one game to one (the Isles earned 3 points to Edmonton's 2). The Isles are 2-0-4 in the last six games and 4-1-4 in the last nine games. The Sound Tigers are 6-1-1-0 in their last eight games and are 30-18-5-2 on the season as they begin a three-in-three weekend in Providence on Friday. The Isles finish the three-game Western Canada road trip as they conclude the season series with the Vancouver Canucks. The Isles have won five of the last six games between the teams and will be looking to sweep the season series for the second time in three seasons, having defeated the Canucks 5-2 on November 13 behind a pair of Tom Kuhnhackl goals. The Isles are 4-2-1 in their last seven games in Vancouver, dropping an overtime decision on a Brendan Leipsic goal. Austin Czarnik and Johnny Gaudreau scored 29 seconds apart in the third period as the Western Conference-leading Calgary Flames broke a 2-2 tie and defeated the Isles 4-2 before a crowd of 18,632 at the Scotiabank Saddledome. It's the first time in 18 games that the Isles have allowed four goals; the 17 straight games allowing three or less matched the club record, set in 1975-76. The Isles fall to 11-3-2 in their last 16 games as their lead in the Metro remains three points over idle Washington. Thomas Greiss had gone 104:22 without allowing a goal before Mikael Backlund scored 5:00 into the first period; he allowed four goals tonight after allowing three goals in prior six games…The Isles are 18-5-2 since Devon Toews joined the lineup and are 21-6-2 in their last 29 games…Anders Lee reached both the 20-goal and 40-point marks for the 3rd straight season… The Isles have matched last season's win total (35) games; including shootout winners they have scored 28 fewer goals and allowed 72 fewer goals than last year's first 59 games… The Isles have 40 points at home and 36 points on the road … For the 25th straight game, the Isles did not allow three goals in any period. That's the longest (single-season) streak of its kind since the Isles went 25 games in February-March 1979 and one game shy of the club record set in February-March 1976…The Isles are 5-2-0 in their last seven games…The Isles are 6-3-1 in February; they have had a winning record every month this season… The Martin-Cizikas-Clutterbuck line has started every game that the trio has played in 2019…Captain Anders Lee scored his team-leading 20th goal; it's the first time since December 23-28 that he has scored in consecutive games …. Casey Cizikas scored his 4th goal in four games and went +1; he is now +22 on the season, a mark only one Islander forward (Ryan Strome +23 in 2014-15) has reached in the last 15 years…Travis Hamonic scored his first goal against his former team…The Flames have outscored their opponents 89-49 in the third period. The Isles are 21-5-2 in their last 28 games, matching Tampa Bay (21-4-3) for the most wins in that span. The Isles are tied-5th in the NHL with 76 points; Toronto has an identical 76 points in 59 games. The Isles erased a 2-0 deficit for the seventh time this season, but it's the first of the seven times they got even that they didn't win the game. On the season, the Isles are 6-4-0 when trailing in a game by a 2-0 score, defeating NYR (11/15), CBJ (12/1), DET (12/8), OTT (12/28), STL (1/5) and COL (2/9 - OT); the first five wins were all in regulation. Robin Lehner is 14-3-1 (1.64, .943) in his last 18 decisions. On the season, his NHL-leading GAA is 2.08 and his save percentage is .929. Thomas Greiss is 5-1-1 in the last seven games, allowing a total of seven goals on 220 shots (5-1-1, 0.98 GAA, .968 save percentage). On the season, his GAA is 2.26 and his save percentage is .928. The Isles are 8-3-1 in their last 12 road games and 11-4-1 in their last 16 road games. Among active coaches, Barry Trotz has coached the most games and is 2nd to Ken Hitchcock in wins. Trotz' NHL record is 797-586-60-140 in 1,583 games. The Isles have allowed 72 fewer goals, a decrease of 33.6% as compared to last season. The Isles are 21-7-5 when scoring first and are 14-11-1 when allowing the opening goal (which includes a 1-0 shootout loss). The Isles won 12 games all last season (12-27-5) when allowing the opening goal. The Islanders are 35-18-6 overall; 18-7-4 at home (6-1-2 on Long Island and 12-6-2 in Brooklyn) and 17-11-2 on the road. All their remaining regular season home games are at the Nassau Coliseum. Calgary is 37-16-7 overall; 19-5-5 at home and 18-11-2 on the road. The Isles are 15-5-1 in Division games and 20-13-5 in games versus other divisions. The Isles are 21-9-5 against the East and 14-9-1 against the West. Thomas Greiss made 28 saves but falls to 17-9-2 on the season and 2-4-0 in his career against Calgary. Mike Smith made 17 saves and improves to 17-11-2 on the season and 6-4-0 against the Islanders. The Isles were 0-2 on the power play in 4:00 of PP time; Calgary was 1-3 on the power play in 2:42 of PP time. The Isles are 22-2-1 when they score at least one power play goal and 13-16-5 when they do not. The Isles are 13-11-4 when they allow at least one power play goal and 22-7-2 when they do not. The Isles are 29-2-1 when they score at least three goals (including shootout winners) and are 6-16-5 when they do not. •	The Isles are 5-0-0 when their opponents are rested, and the Isles are not. Josh Bailey led Isles forwards with 19:19 of ice-time. Isles record by ice-time leader: Ryan Pulock (17-8-4), Nick Leddy (13-9-2), Scott Mayfield (5-1-0). Isles 20, Calgary 26 (43%). Valtteri Filppula won 5 of 7 for the Isles; Sean Monahan won 6 of 8 for Calgary. Face-offs by period: 1st period 5/13; 2nd period 6/11; 3rd period 9/22. Face-offs by strength: Even strength: 18/40, Power play 2/3, Penalty kill 0/3. Including tonight, the Isles are 6-3-1 in the front half and 9-0-0 in the back half. This back-to-back concludes on Thursday vs. Edmonton. The next back-to-back is February 28-March 1 vs. Toronto and Washington. The Isles are 29-16-6 in night games and 6-2-0 in matinees. The next matinee is on March 3rd vs. Philadelphia (at the Coliseum). Anders Lee 177, Brock Nelson 154, Mathew Barzal 141. Four other Isles: Nick Leddy, Ryan Pulock, Josh Bailey and Leo Komarov have appeared in every game this season. Calgary leads the season series one game to none (and 2 points to 0). The teams will meet again at the Coliseum on Tuesday to conclude the season series. The Sound Tigers are 6-1-1-0 in their last eight games and are 30-18-5-2 on the season following a 7-3 win on Sunday vs. Charlotte. Josh Ho-Sang had a third period natural hat trick and added two assists on his way to AHL player of the week honors. Andrew Ladd (0-3-3) and Thomas Hickey (1-2-3) each had three points in the second game of their rehab stints. Bridgeport begins another 3-in-3 weekend on Friday in Providence. The Isles look for their tenth consecutive back-end victory and a split of their games in Alberta as they meet Edmonton for the second time in six days. The Isles won 5-2 on Saturday night and have earned points in the last five games against Edmonton (2-0-3); they are 4-1-3 in the last eight against the Oilers.